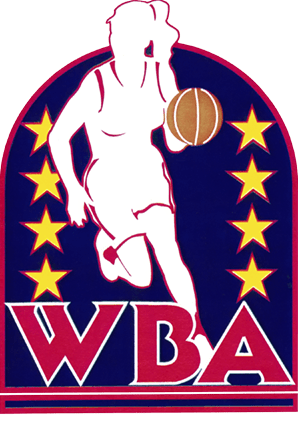 The Women’s Basketball Hall of Fame just recently introduced the WBL as the first successful Women’s Professional Basketball League in the United States. Which may be true, but they forgot to mention the Women’s Basketball Association (WBA). The first ever successful spring and summer women’s professional basketball league and all that it was able to accomplish in such a short time with no major sponsors backing it. But with enough going for it, that it attracted the NBA to continue on with the foundation that was laid by it, and now we have the WNBA. The WBL lasted for 3 years with major sponsors behind them. The WBA lasted for 3 years with no major sponsors but With JESUS behind it. With WBL we have memories. With the WBA we got the WNBA. In addition to inducting the Class of 2018, the Women’s Basketball Hall of Fame recognized the Women’s Professional Basketball League (WBL) for their contributions to the game with a display at the Women’s Basketball Hall of Fame entitled “Trailblazers of the Game”. The WBL joined eight other teams and organizations that have been recognized as “Trailblazers of the Game.” The WBL was the first professional women’s basketball league in the United States, playing three seasons from 1978 to 1981. The Vision is the true story of how the opportunity for women to play professional basketball in the United States began with the WBA. Read about the struggles that were faced, game snapshots, watch videos and order the official book. Soon to be available at Barnes & Noble, Walmart and other bookstores! © 2019 the Vision. All rights reserved.